Santa Claus is blogging to all his Merry-Christmas fans. You'll find out news of what's happening at the Christmas Village; what the elves are up to; and what is new with Santa! Plus, he'll tell you about his Favorite toys and cookies. Everything Christmas at Santa's Blog! 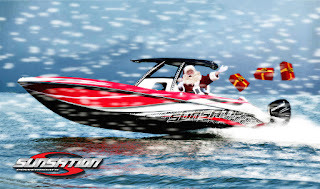 Santa is enjoying his well deserved vacation in Florida. But he will be back soon blogging to all his Merry-Christmas fans. You'll find out news of what's happening at the Christmas Village; what the elves are up to; and what is new with Santa! Plus, he'll tell you about his favorite toys and cookies. Everything Christmas at Santa's Blog!